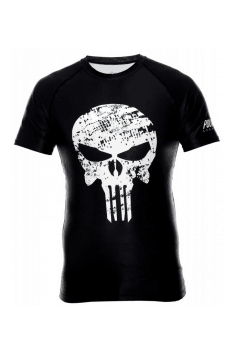 Poundout Gear Rashguard Hate SUB-SKIN is a high-quality shirt made of the material that allows it to be used in all conditions – both during outdoor sessions and those conducted in a training room. Thanks to the original prints, it constitutes the external dose of motivation and an interesting enrichment of the training wardrobe. T-shirts are among the most popular casual outfits. Many women and men wear them every day in different situations, so it is worth choosing only best-quality fabrics. This is particularly true for sports clothing and that dressed in other everyday situations – they should not, above all, hamper body movements. The Poundout Gear Rashguard has all of the above features. The product has been created for the most demanding people who appreciate the comfort of exercising during their workout sessions. The fabric used makes the T-shirt perfectly adheres to the body and in no way limits the freedom of movement. In combination with the use of flat, elastic seams, it protects the epidermis against cuts and abrasions, allowing proper hygiene. It was also observed that compression improves blood circulation, supplying the muscles with essential nutrients and unburdening them. All of these solutions will prove particularly useful during heavy multi-joint exercises – deadlifts or squats, during dynamic cardio training, as well as among people practicing martial arts – everywhere where proper mobility is important and it is easy to get hurt. It is worth to depart from the conventional patterns and conduct the workout outside a training room. Different weather conditions also require us to be supplied with the right clothes. Rashguard works well regardless of the weather and ambient temperature. As already mentioned, the material used improves blood circulation, which also protects against heat loss and enables to keep proper muscle temperature. When the temperature rises, the sweat is discharged to the outside, allowing you to maintain total comfort during exercise. This T-shirt is designed for people who want to express their strong character traits or to get external motivation. 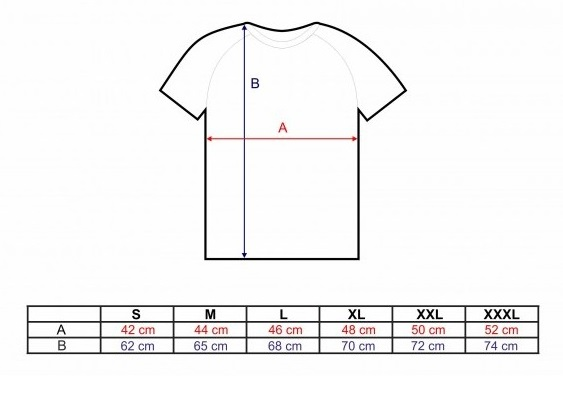 The imprints on the T-shirt were applied with the use of the sublimation method so that frequent washing in the washing machine will not cause them to wash out. To sum up, Poundout Gear Rashguard Hate SUB-SKIN tech. is a compression T-shirt made with the utmost care that allows you to effectively perform the workout in different conditions, allowing you to maintain the right temperature of the body and protecting against possible injuries. Products of brand POUNDOUT are developed specially for training in line with the latest trends around the world. The company also offers a typical street line, which provides the identification with a sports lifestyle outside the gym. One of the main assets of the brand is high quality, which, together with the unique design, makes that everybody is able to satisfy their needs by selecting POUNDOUT.